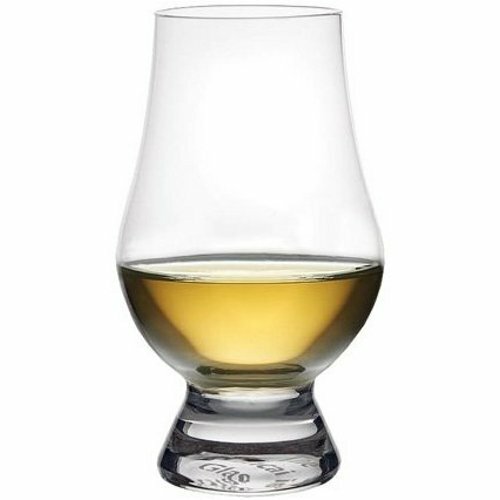 Serve your whiskey the way it's meant to be served with this Glencairn whiskey glass. Combining the knowledge and expertise of some of the whiskey world's leading innovators, the unique and stylish shape of this non-leaded crystal glass has been crafted with eminent care to enhance the enjoyment of single malts and aged blends. The tapering mouth allows an ease of drinking not associated with traditional nosing glasses, while capturing that all-important bouquet. The wide bowl allows for the fullest appreciation of the whiskey's color and the solid base is designed to be easy on the hand. Today the Glencairn whiskey glass can be found at every distillery in Scotland, Ireland, Wales as well as most in the USA. It has won accolades from around the world including the Queens Award, the highest award for business in the UK. It may have taken a few hundred years to arrive, but whiskey now has a glass of it's own. Hailed as "The Official Whiskey Glass"
If you have any questions about this product by Glencairn, contact us by completing and submitting the form below. If you are looking for a specif part number, please include it with your message.